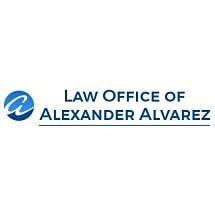 At the Law Office of Alexander Alvarez in Miami, we combine the personal service of a small law firm with the comprehensive assistance and skill of a much larger practice. Whether we are representing an insured party in a medical malpractice suit, advocating for an injured individual in a personal injury case or drafting a contract for a Florida business owner, we have the knowledge and experience our clients require to protect their interests. Founding attorney Alexander Alvarez earned his B.S. in finance and international business from Florida International University before continuing on to earn his J.D. from Florida State University. Over the past 20-plus years of practice, he has worked on both the insurance defense side and the plaintiffs' side, giving him a unique perspective on litigation. He is also certified by the Florida Supreme Court as a circuit court mediator. Among Mr. Alvarez's numerous accolades, he has been rated AV Preeminent* by Martindale-Hubbell, listed in Florida Super Lawyers magazine, named in Florida Trend's Legal Elite and rated 10.0 "Superb" by Avvo. Schedule a free initial consultation about any area of practice by contacting the Law Office of Alexander Alvarez in Miami today.